The contrast could not be greater with Trump’s supply-side tax-cut formula for prosperity and growth. You’ve got to hand it to Hillary Clinton and her team. Their message discipline is awesome — at least in terms of taxes. It reminds me of the orderly march of the Chinese Red Army on the way to battle. Here’s the latest: The Bush tax cuts were responsible for the financial meltdown and recession of 2008-09. That’s a new low for Hillarynomics. Okay. So George W. Bush in 2003 got a modest reduction in the top income-tax rate, with bigger reductions in the tax rates on capital gains and dividends. And this caused the financial crisis? Pethokoukis cited an AEI study on inequality that found “strong evidence linking credit booms to banking crises, but no evidence that rising income concentration was a significant determinant of credit booms.” He also pointed out that the Financial Crisis Inquiry Commission report assigns blame to banks, regulators, government agencies, and credit raters. I would add to this list of culprits a boom-and-bust Federal Reserve policy, where interest rates were held too low for too long. And let’s add federal housing mandates to virtually eliminate income and job qualifications for loans, as well as highly over-leveraged bank mortgage loans and derivatives. But not the Bush tax cuts. Back to Hillary’s Red Army. In recent debates with pro-Hillary economists, several of whom are good friends, I heard the same accusations: Bush and his so-called tax cuts for the rich are to blame. I challenged one of these Hillary supporters to find me an example where across-the-board tax increases generated economic growth. Have we ever taxed our way into prosperity? Never. This particular Hillary defender acknowledged that across-the-board tax hikes would put a stop to prosperity. But he argued that’s not her plan. Let me pull out my list of Hillary tax hikes: a $350 billion income-tax increase in the form of a 28 percent cap on itemized deductions (without lowering personal tax rates); a more than $400 billion “fairness” tax hike in the form of a 4 percent surcharge on high-end earners; and the “Buffet rule,” which would establish a 30 percent minimum tax on earners with adjusted gross incomes over $1 million. Clinton also proposes increase the estate-tax rate to a range of 45 to 65 percent and reduce the exemption to $3.5 million. Remember, estate taxes are already hit once by the income tax and again by the capital-gains tax. Here Hillary would end the stepped-up capital-gains tax basis and instead value the gain all the way back to the initial transaction. One of my favorite economists, Scott Grannis, calls this legalized theft. Hillary also would raise the capital-gains tax to over 40 percent, unless gains are held for more than six years; cap various business deductions (without lowering the corporate rate); and install some sort of “exit tax” for corporate earnings overseas (which are overseas to avoid the high corporate rates she will not reduce). Then there’s her proposed tax on stock trading, her attraction to a payroll tax hike, her endorsement of a steep soda tax and 25 percent national gun tax, and her openness to a carbon tax. If this list does not constitute across-the-board tax hikes, I don’t know what would. Now contrast this with Donald Trump’s plan to reduce tax rates for individuals and large and small businesses (while abolishing the death tax). His new 15 percent corporate-tax-rate plan would unleash overseas-profits repatriation and a huge surge in corporate investment. By itself, the business tax reform could grow the economy by 4 percent. But Trump has to be more persuasive. He could highlight how middle-income wage earners benefit most from lower business taxes. He could emphasize his tax cut on small mom-and-pop businesses. He could explain that lower individual tax rates boost what Ronald Reagan called take-home pay — more money in your pocket. He could stress how lower business taxes lead to a large increase in incentives that boost investment, productivity, risk-taking, new business formation, and worker wages. The biggest issue in this campaign is economy/wages/jobs. Trump must hammer home how his plan to boost all three contrasts drastically with Hillary’s Red Army march of tax-hike destruction. He has a prosperity plan. She has a recession plan. Americans will always vote for prosperity. But the case has to be made. 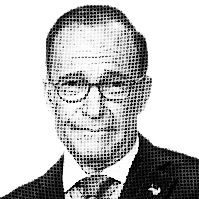 – Larry Kudlow is CNBC’s senior contributor. His new book is JFK and the Reagan Revolution: A Secret History of American Prosperity, written with Brian Domitrovic.